First I paint the face with indian ink. Diluting the ink with water and controlling the shade with a tissue. For the finer details of the skin I then add dots with a very felt-tip pen. Giving the cracks and pores in the skin a little more definition and life. 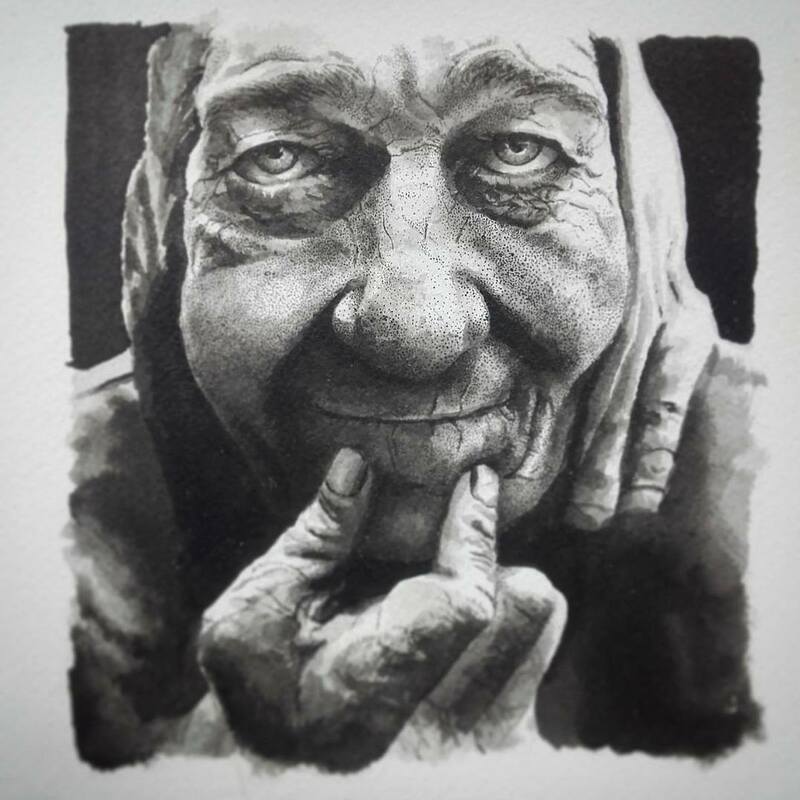 This portrait was drawn in 2016 for my entry in the exhibition ‘They Talk’, as one in a series of five ink portraits. Nolias Gallery, Southwalk, London.